Missouri’s Free Application for Federal Student Aid - or FAFSA, application deadline is coming up on April 1. Across the state, high schools and other learning facilities are hosting FAFSA Frenzy events. FAFSA Frenzy, which provides professional assistance for completing the application, will be held in 86 different locations until the April 1 deadline. 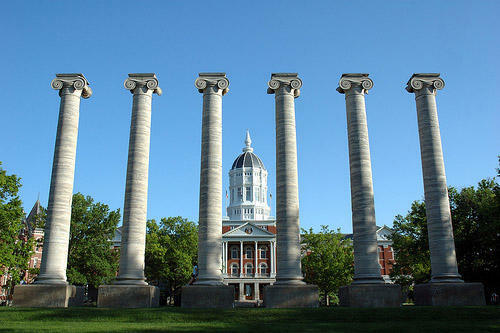 Director of Communications for the Missouri Department of Higher Education Liz Coleman said these events are beneficial to all students who plan on using financial aid to pay for college. The program, which began in 2004, has helped 12,000 Missouri students fill out the application statewide. There will also be events held in Columbia, Boonville, Fulton and Mexico. Moberly Area Community College will host its FAFSA Frenzy event on Sunday March 15 at 2 p.m. Assistant Director of Financial Aid of the college, Jennifer Haynes, said this program is very beneficial to Moberly area students. In order to receive federal funding a student must complete FAFSA. Students who come from all communities may be equally reliant on federal funding to support their higher education. The effects that FAFSA Frenzy has on a community can resonate with students anywhere. There are several high schools within the Moberly area which are collaborating to provide this opportunity to students. Haynes said 25 to 30 students attend this FAFSA frenzy event each year and she hopes the number will increase in the future.